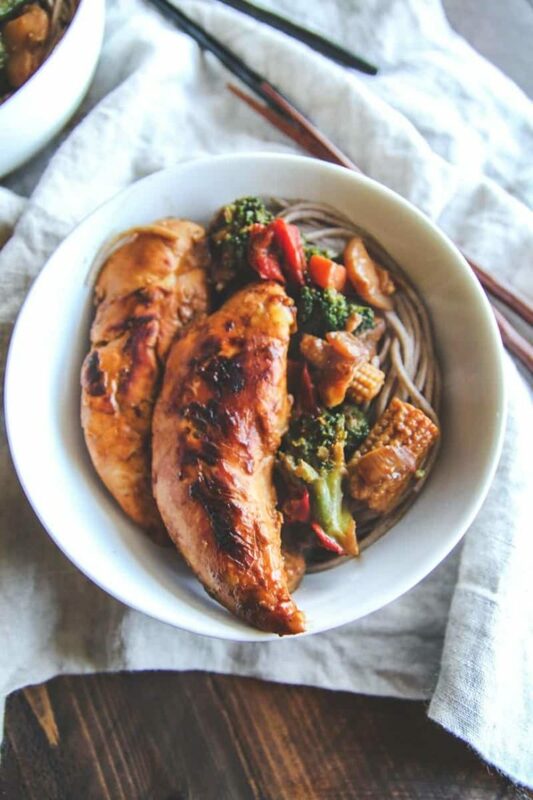 Perfect for an easy and healthy dinner recipe, these chicken stir fry soba noodle bowls are super delicious and great for healthy meal planning. 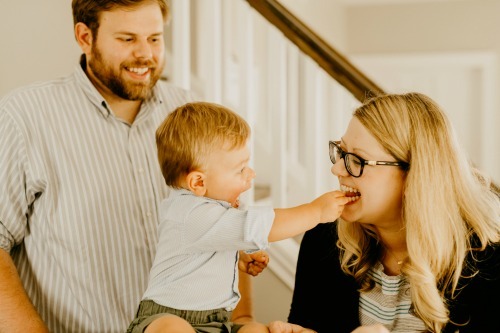 Last Friday when I posted the recipe for no bake oatmeal cookie energy bites (which I’ve already made another batch of) I shared that I was making eating healthier a priority this year, and a big part of that for me is trying to do better at meal planning. If I don’t plan ahead, during the week I’m more likely to eat not-the-best options. When thinking of meals that would reheat well at work, I immediately thought of these delicious chicken stir fry soba noodle bowls. Looking for a #healthy #mealplanning recipe? 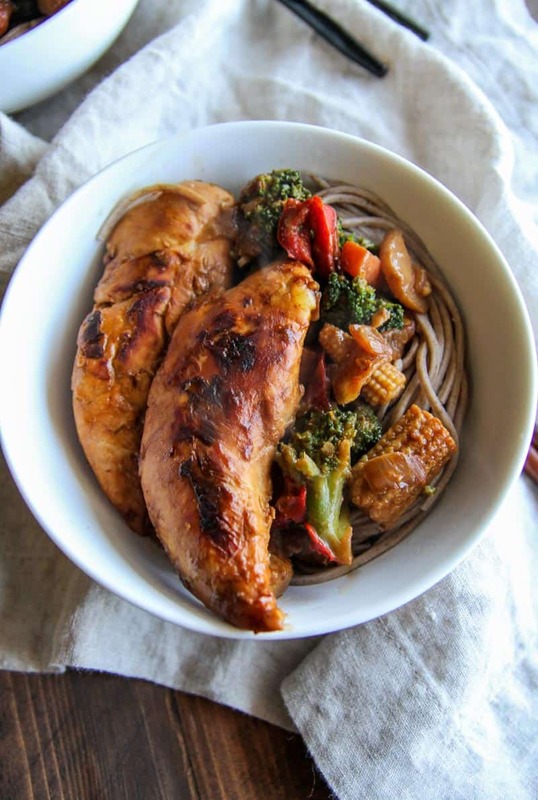 These chicken stir fry soba noodle bowls from @sweetphi are perfect! Because, truth is, I’ve made these chicken stir fry soba noodle bowls a bunch of times because they’re super easy to make and so so SO good (my hubby even requests them!) 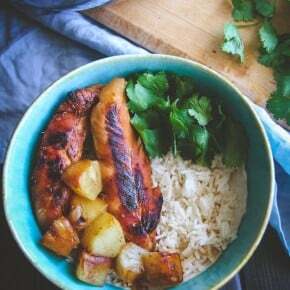 You start by marinating chicken tenders (I love using chicken tenders for time saving because they cook faster, but chicken breasts cut into strips would work just fine), I am pretty much obsessed with these Pyrex bowls with lids, I use them all the time, and they’re perfect for holding the chicken and marinade. 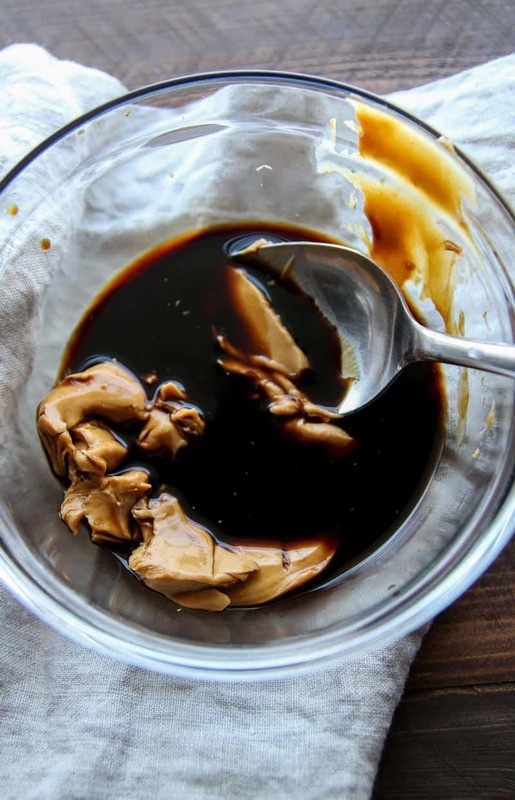 I just put the chicken and the marinade in the bowl and can cover it and let it marinate in the refrigerator – easy peasy! Another thing I love using is ginger stir-in paste, totally reduces prep time because you’re not peeling and grating ginger! The rest of making these chicken stir fry soba noodles bowls is simple as well, you cook the chicken and then add a peanut butter sauce which coats the stir fry veggies. All the while the noodles cook away. The veggies and chicken with the peanut butter sauce, it’s SO incredibly delicious and comforting. For diving them up I used a food scale like this one (I’ve had a few different food scales over the years but this one is by far my fave) and weigh each portion out (I weigh the total components and then divide by how many servings I’m making). 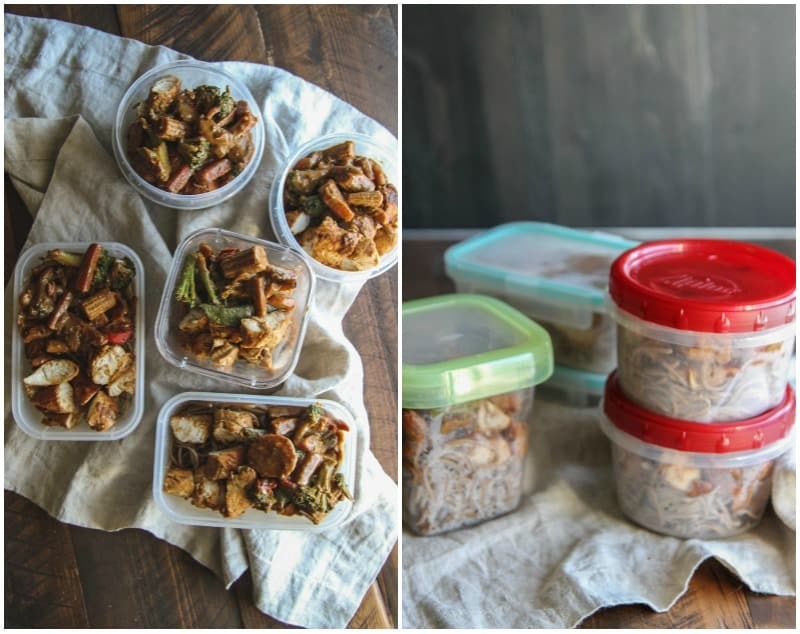 Do you do meal planning? I’d love to know! I’m slowly getting into it and am always looking for any tips and tricks you have! Also, I was sharing behind-the-scenes of making these over on Sapchat (username: SweetPhi)! These chicken stir fry soba noodle bowls are great for a quick dinner or for lunches throughout the week, enjoy! 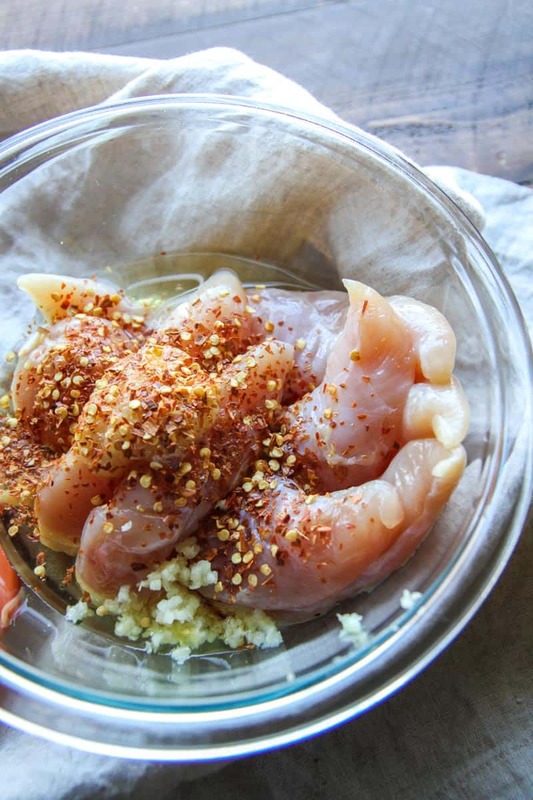 In a bowl with a lid combine chicken tenders, rice wine vinegar, sesame oil, garlic clove, ginger, red pepper flakes and salt, stir a few times to combine. Cover with lid and let marinate in the refrigerator for 1/2 an hour or up to over night. Cook soba noodles according to package instructions and set aside. 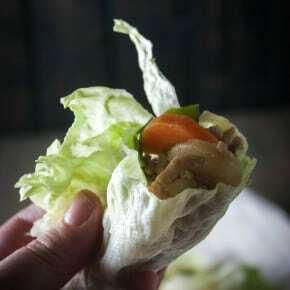 Add in 1 tablespoon of water and then pour in the bag of frozen vegetables and cook, stirring occasionally for 5 minutes, or until the vegetables are cooked through. To serve divide the soba noodles into bowls and top with the chicken and vegetables and enjoy! So yummy! And we also loved the serving style, which reminded us of bibimbap. Only instead of rice, you added noodles (which is also more interesting)! Excellent, delicious dish dear Phi! Already tweeted it (of course), thank you for another great recipe! Have a beautiful day dear! This dish would also be great over rice, now that you mention it Mirella. Thank you so much for your comment, as always, and thank you for the tweet too!! oh yummy!! This looks really good! Looks super tasty. I think planning is key I always plan during the week but not at weekends. 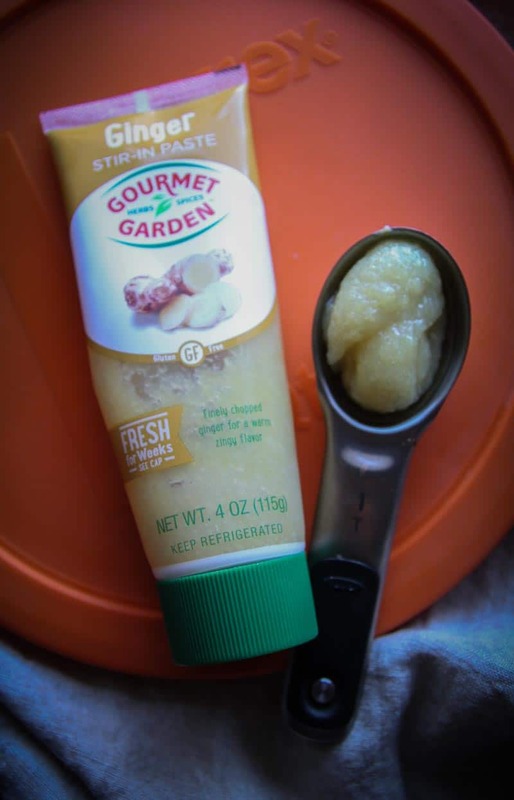 I hate chopping ginger, so we always have those ginger (and garlic) pastes in our kitchen. Noodle dishes like this are just so comforting, and delicious. Oh girl this looks like my cup of tea! 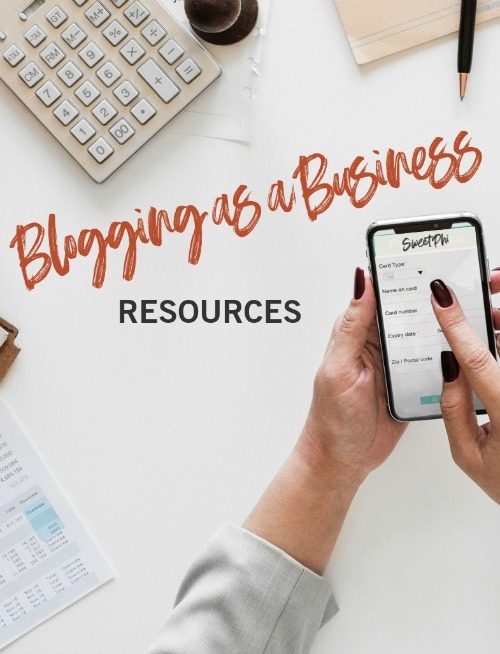 I always find the BEST stuff on your site! 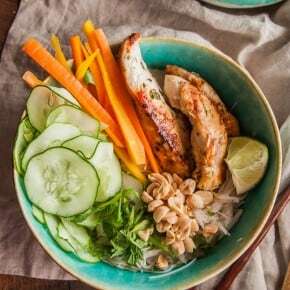 I think you’d absolutely LOVE these chicken stir fry noodle bowls, they’re truly delish! And thank you so much for your kind words, I truly appreciate it!! I am terrible at meal planning, Phi… like I’m a horrible, no good person at planning. 😉 I need to just plan on making these bowls every night for dinner because they look incredibly delicious! LOVE the flavors and I really love love love how easy they are to put together! This is weeknight dinner perfection, my dear! Cheers! Haha, girl, I’m right there with you, I am horrible at meal planning and am forcing myself to try and be better! These chicken stir fry soba noodle bowls definitely help because they’re so delicious – we ate them all of last week and my hubby asked me to make them for dinner again!